Exploring your imagination for a living is a pretty good gig! I get paid to work with very gifted artists to create pleasure for the public. Our intent is all for your delight, and you can’t beat how it feels when you’re there at a theatre event that is rich in feeling, ideas, and imagination that you can feel has held its audience spellbound. My job is to explore the design flaws of the human condition, to examine its miseries and splendours. Theatre’s a brilliant way of doing that. I was snooping around in my father’s study during the Christmas holidays one dusty summer afternoon. I would’ve been 10 years old, and I pulled this fat leather-bound book off the shelf and opened it to the first pages. It said “Act One, Scene One. A ship at sea. A storm. Later, an island.” It was the opening stage directions of The Tempest. I flipped the book shut and looked at the words stamped in gold on its spine – The Complete Works of William Shakespeare. I went back to the first page I’d seen, and read further. There were people caught in this storm, shouting and screaming over the roaring of the waves, fighting for their lives. Just from reading these few words, I was transported. I felt I was really there on the tempest-toss’d ocean. I feared for the safety of the people on board that ship and I wondered what would happen to them. But another thought came into my mind – This is a play. I’d been in the school Nativity play when I was six years old, travelling with my wife to the hotel we’d booked in Bethlehem, so I knew what a play was, but how could you create a ship at sea in a storm on an empty stage? And then “Later. An island”??? How amazing! But how exciting! I’d built forts and cubby houses in my living room before, upending the armchairs and draping my bedspread over them to create a secret cave. I’d imagined all kinds of worlds from my reading. I’d made some up too. But reading The Tempest that day was revelatory to me because I realized these worlds didn’t have to stay inside my head. But how would I create a ship in a storm? How would I show that to my parents and my friends so that they experienced it, and so that they believed it was all happening right before their very eyes? That’s the imaginative challenge we face as theatre-makers – to create a world that lives and breathes in front of a room full of strangers who, in the course of the performance, through the magic of our shared imaginations, become friends. I’ve always loved that paradox of theatre – these characters, and the events with which they are involved – it’s all happening right in front of you, right now, and yet they’re all acting. It could stop at any moment, but we don’t want it to. It’s a conspiracy of the imagination. I got a buzz out of performing as a kid, and in my teenage years too, taking classes at ATYP. I kept my theatrical adventures and experiments going throughout my university studies, after that went on to study at NIDA [Directing] and made a full-time career out of it ever since. Watching an audience experience a deep engagement with the imaginative world that your theatre community has created, and then hearing whoops, cheers, and thunderous applause at the end? Bliss! I’m only interested in working with actors who have bold colours on their palette; no pastels! Which is not to say I don’t value subtlety and nuance, but please don’t make feeble, wishy-washy choices. I like working with actors who are deep sea divers – they’re willing to immerse themselves inside the dark caverns of a character’s mind and soul and to share that with us. You can’t be a good actor or indeed a good director if you don’t have an acute understanding of human nature, and a keen appetite for exploring what makes people tick. I can tell if an actor’s any good as soon as they walk in the room and tell me their name. Seriously. 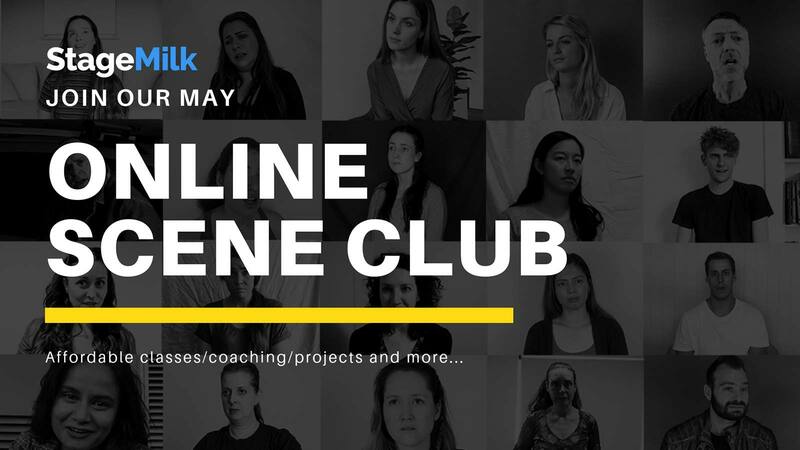 The actor needs to know the play and the character, and to come into the audition having made some imaginative decisions of their own, but they also need to be flexible and open to change. Yes, I do. There’s raw instinct and emotional connection – those are invaluable. But you need to be able to retain and repeat the work you create with the director. 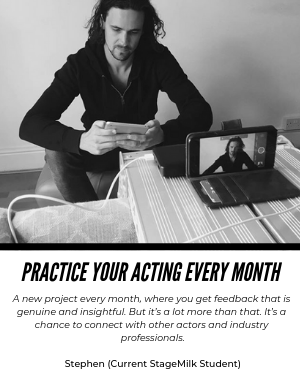 I’ve directed a lot of shows at acting schools, so I’ve witnessed the flourishing of talent in hundreds of actors over the years of their training. Training gives you the opportunity to practise your craft every single day for three years. In most cases, through access to that opportunity, they improve. Then there are the gifts that the gods give. No one can teach those, and you can’t act charisma. You’re inherently interesting to watch, or you’re not. There’s only so far I can travel with the actors into their characters, then you send them on ahead, as it were. It’s a kind of magic, what they do. It’s alchemy. Prepare yourself for a hard road ahead, and for a fair bit of disappointment. It doesn’t happen overnight. Hook up with like-minded individuals and groups within your theatre community. Don’t sit on your backside waiting for something to happen. Make it happen. Create the work. I graduated from NIDA and thought ‘Well, no one owes me anything.” So I put on a play to show what I could do. 25 years later and I’ve never been out of work. Stay true to your gifts. Believe in yourself. Don’t give up. King Lear. I directed it for State Theatre Company of South Australia with John Gaden in the title role. Some of the cruellest violence you’ll ever see on a stage, some of the most morally bankrupt characters in world literature, but the play also celebrates our capacity for kindness, and our need to find the courage to endure “our going hence, even as our coming hither”. As a play I find it deeply distressing, and terribly moving. Second choice, Chekhov’s Uncle Vanya. Again, because it puts you through the wringer, emotionally, and that’s an integral part of theatre’s charter, I think.